In The High Place is no longer available for purchase online, but you can still listen to it via streaming (on the right-hand side of this website). We'll be releasing a new version of the song along with an updated version of Terrible Mr. Cloud & His Terrible Mood later this year. Welcome to the new Blue Surround website! It's been much too long since our last update, and you have our sincerest thanks for hanging in there and sticking with us! Since In The High Place was released back in 2009 (where does the time go? ), the members of Blue Surround have seen our fair share of tough times--from serious health issues to deaths in the family, but we're moving forward and ready to prove your patience hasn't been in vain. We really do have new music on the way! Lately, we've been busy continuing work on our upcoming album, Saturday Morning. The last 2 years may have slipped away from us, but it was still enough time for the album and the band to evolve. When we reunited in 2008, our goal was to focus on the pop-oriented aspects of our songwriting. The intent was to create an upbeat sound that could be enjoyed by a general audience--with our main inspirations being the Beach Boys, Coldplay, and Smash Mouth. Using the two former as the mark for songwriting quality and the latter as a template for production style, we set out to make a "pop record". While there's nothing wrong with that, and we're very proud of In The High Place, we've had some time to get comfortable in our own skin again. So, how does this affect Saturday Morning? There's no doubt if it would've been released in 2009 as originally planned, it would've differed from the direction we're taking things now. But we've been able to create a more well-rounded, slightly grittier, and overall better sounding album. We have a wide variety of musical tastes, but our influences have turned back to our roots: the Beatles, Led Zeppelin, Creedence Clearwater Revival, ELO, the Rolling Stones, and Crosby, Stills & Nash to name a few. We've finalized the songs to be included (check out the Music section above for more details), and are currently recording vocals and percussion. We want to get this album out in 2011! As for the new site layout, we hope you like it! If you see things we could improve, please let us know. We'd appreciate any feedback you have. You can use the music player on the right to listen to our latest songs, or click the Music tab above for discography info - including lyrics, upcoming releases, and more! 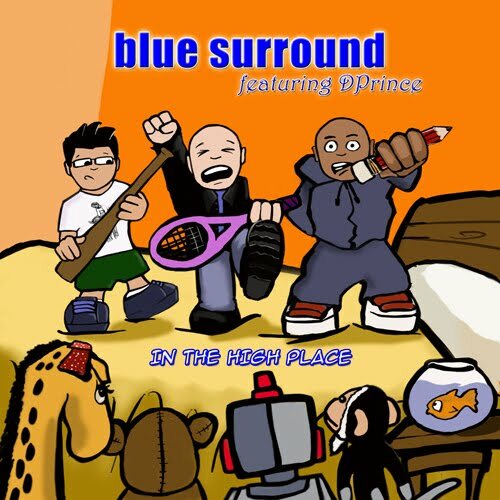 First time visiting Blue Surround? You can learn more about us by clicking the About tab.